A Revolutionary Product for All Kinds of Celebrations! Let the celebration begin! 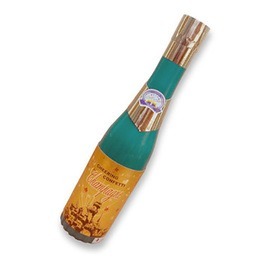 Our Champagne Shooter comes complete with the air and confetti already loaded. It is ready-to-use, Safe & easy to enjoy. Just a simple twist and you will let out an awe inspiring display of colourful confetti showers. The pre-loaded fillings are made up of big tissue bubble confetti, big metallic streamers and small confetti. Champagne shooter’s filling are of high quality. They are biodegradable, flameproof and colourfast. Safety lock applied, no risk for transportation.